1; Keychain style flashlight with a cute animal shape and sound. Package contains 5 pack with different animals in different colors. Molded plastic with a rubberized surface, making it durable and long-lasting. The perfect presents for your friend, child, or life partner. It can be given as a lovely presents on many occasions (such as birthday, anniversary). 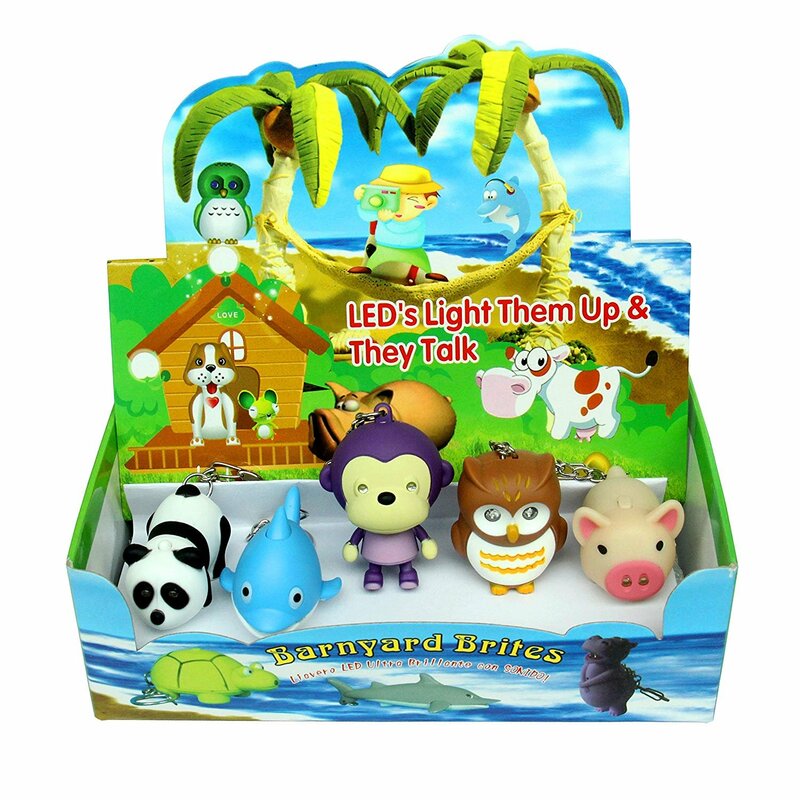 Cute Animal LED Keychains with Sound Effects from GlobalCareMarket! Keychain style flashlight with an animal shape and cute animal sound. The package contains five different styles of keychain with keyring. That is five cute animals for one low price! Each animal is made of molded plastic with a rubberized surface, making it durable and long-lasting. These LED Keychains are the perfect gift for your friend, child, or life partner. Push and hold the button to operate the LED light.